This is a Script & Bowtie version Chevrolet Derby cap with 7 inch back inside diameter. 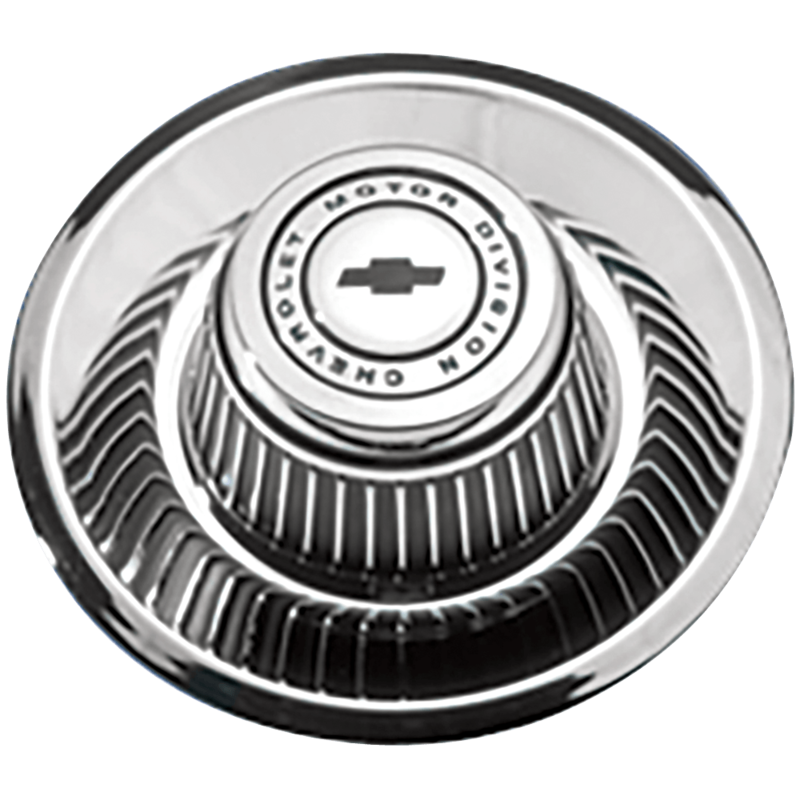 This authentic Chevrolet hubcap features the classic Chevrolet Motor Division and Bowtie emblem in black. Fits our Corvette/Camaro Rallye wheels, all sizes, Smoothie 16" and 17" only. Please check your actual wheels required cap fitment size. Coker Tire Company features a huge selection of trim rings, wheels and caps for collector vehicles. is this a hubcap for rallye wheel 15 inch ? 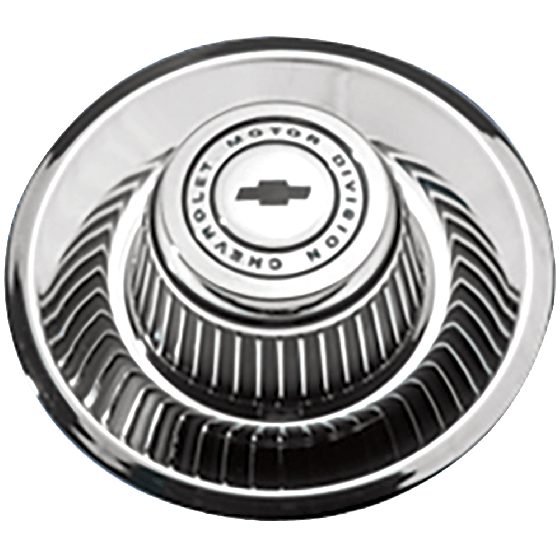 This cap is compatible with all Chevrolet Rally wheel sizes. What is the material for this product? Plastic or Metal (stainless steel)? Is this the tall derby cap? Yes, this is the cap! In-stock items can arrive in 3-5 business days.